Presenting our ABS TI-FlexCurve in moving images: Watch our short product video to find out more about its most important features! This fully traversable curve element, which was specially designed for lifeline systems (6 and 8 mm), can be manually adjusted to fit any angle between 0° bis 180°. 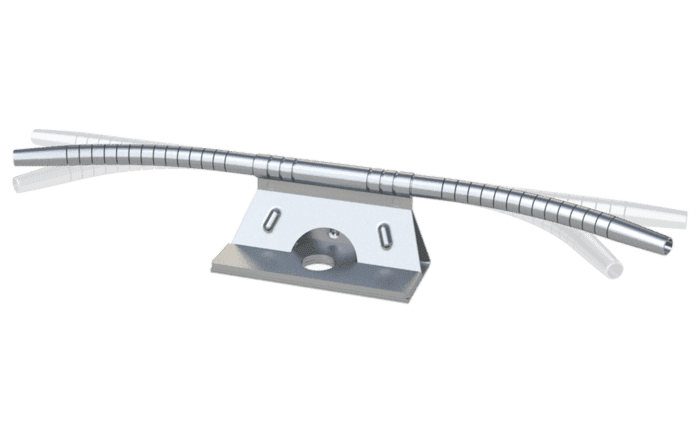 The element can be adjusted to lead in any desired direction - allowing you to easily bridge the roof apex, a ridge, a hollow or similar obstruction. 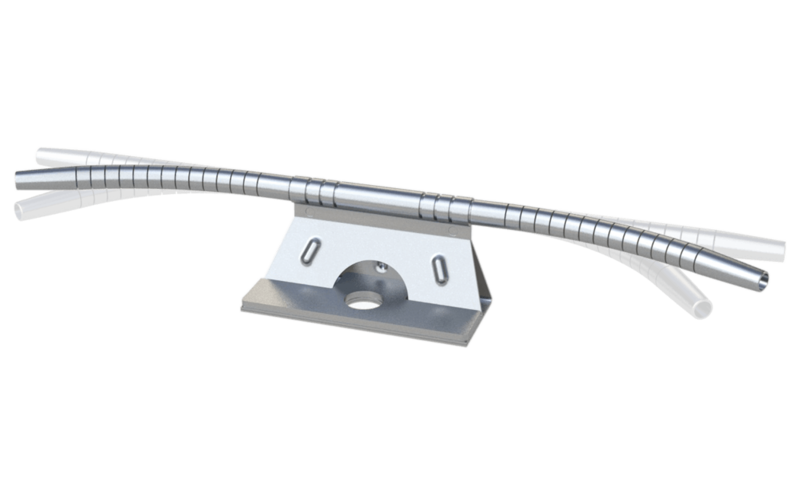 It is manufactured from robust 316 steel material and has been awarded national technical approval. Our flexible ABS TI-FlexCurve really makes installing a lifeline system a whole lot easier. 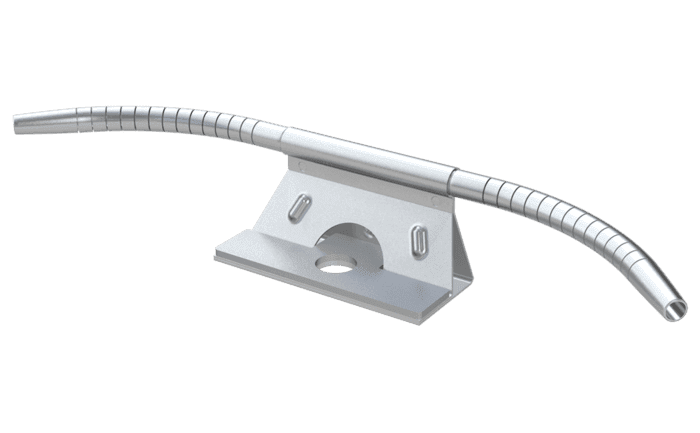 This stainless steel curve element scores top marks through the simple way in which the cable is fed through it and the fact that it can be individually adjusted to any angle between 0° und 180° - without the need for any extra tools, i.e. simply by hand. Our ABS-TI-FlexCurve can easily get around any obstacle: The roof apex, a corner, a pillar, a ridge or a hollow - no problem for this adjustable curve element. 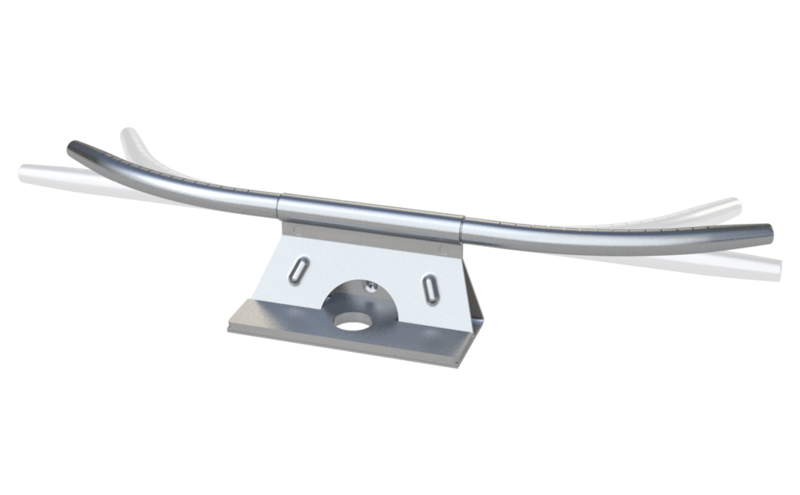 Even after installation, our ABS TI-FlexCurve guarantees maximum ease of operation: This curve element can be implemented in both concave and convex curve situations and is fully traversable. Our ABS TI-FlexCurve has a compact design and does away with the need for heavy supporting brackets. 2 different models are available: For Ø 6 mm and Ø 8 mm cables. 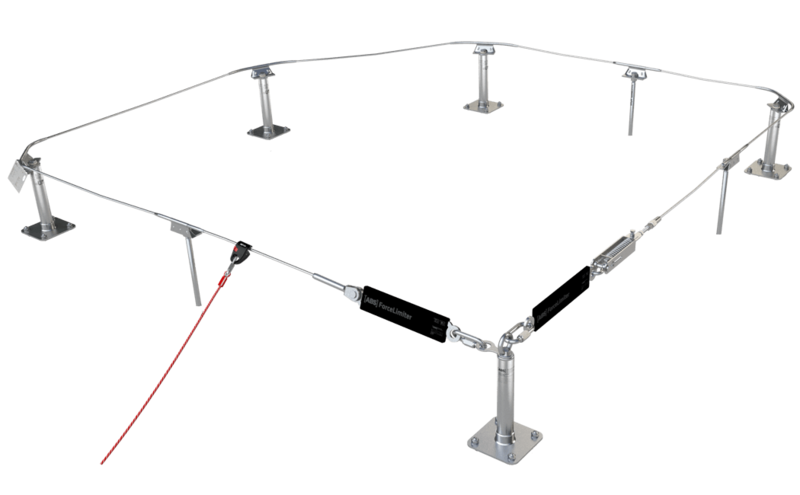 These are suitable for implementation in our fully traversable ABS-Lock SYS II and ABS-Lock SYS IV systems. 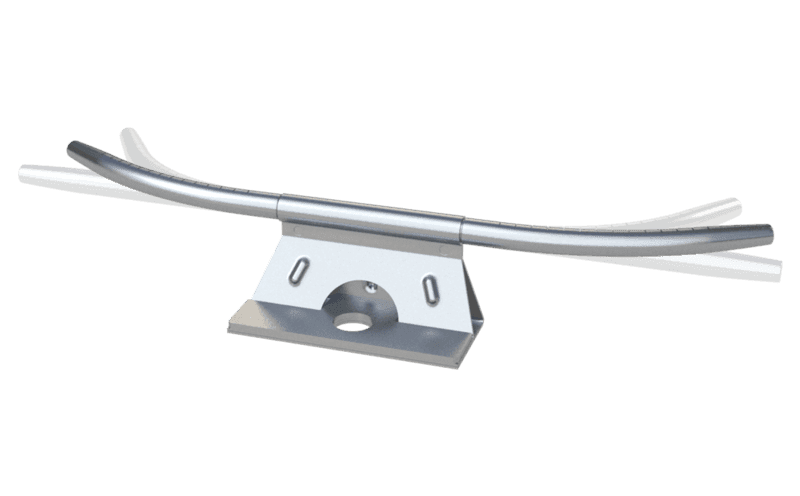 Manufactured completely from weather-resistant 316 steel material, this curve element is capable of withstanding the toughest conditions.